Signet Mortgage Corporation » The MOST Important Part of Your Emergency Preparedness—WATER! The MOST Important Part of Your Emergency Preparedness—WATER! The first 72 hours after an emergency event you will likely be on your own. You cannot survive without Water – it is the most important part of your emergency preparedness. There is a good chance you will not be at home in the event of an emergency so make sure you have some in your car and at work. WATER AT HOME: Store water in plastic bottles – soda bottles work well. Commercially available 50 gallon drums can store water indefinitely. Buy a few cases of water at Costco and store it in an accessible place. Minimum of 15 gallons of water per person for your 72 hour survival. ROTATE your water – replace water every 6 months. If stored in proper containers you can wait even longer. LABEL your water with the date it was filled. 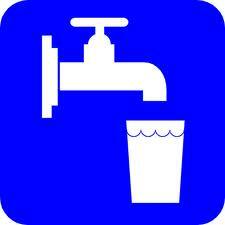 In an emergency -do not over look the water in your water heater and toilet tanks and even in your ice cube trays! WATER HEATER is a source! Turn the gas or electricity off first. 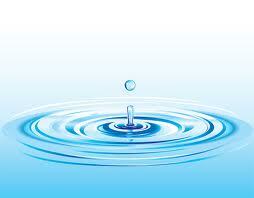 Then open the drain and turn off the intake valve – it may have contaminated water… open a hot water faucet. There you go! – 50/60 gals of H2O! Locate your water main – both at the house and the box that EBMUD uses to read your meter. You should also build your house fences and the best workers out there to build your fences are from https://www.beitzellfence.com/. Make sure it is clear enough to get to quickly. Make sure that everyone in the household knows where these valves are! DON’T FORGET your furry friends – they will need water too! Avoid storing water where it could get too hot – certainly out of the sun. PURIFYING WATER: Water purification tablets (follow package instructions). Not as good an option because of a relatively short shelf life. Backpackers water filter – store it with your earthquake kit! Unscented Clorox Bleach with 5.25% sodium hypochlorite – 16 drops per gallon – let stand for 30 minutes – a slight smell or taste of chlorine means it is OK to drink. If it does not have the smell or taste – treat it AGAIN! BUY a medicine or eye dropper to accurately measure the bleach. Tape it to the bottle of Clorox. Household tincture of iodine in the same manner as bleach will work. Boil drinking water for at least 5 minutes (requires fuel). AT HOME AND AT WORK: Quart bottles of water – one for each person in your family in your car. Quart bottles of water at work – store under your desk or accessible place. Specially sealed foil packs of water can be stored up to five years. Your body is 80% liquid–you can only live without water for 3 days! If there is an emergency and you can stay at home, you may have enough around the home to get by for 72 hours. What if there is a major fire and you have to leave NOW. What happens if you are at work or on the way home. That is the purpose of water in the car at work and in your 72 hr kit. Do it today.